Are you planning for an end of lease cleaning and you’ve got a lot to do? Clean oven is one of the top priorities in agents bond cleaning checklists. Very few people look forward to this experience, some people out rightly detest it but more often than not, it is the thought of cleaning that is worse than the cleaning task itself! Almost every health expert advocates that it is not hygienic to turn your oven’s self-cleaning function right before cooking; this is because what the oven does is to turn up the heat in the oven and burn everything into a crisp, which you can then wipe out once it is cool. It kind of works, but most times it leaves things worse off and also it leave your oven super stinky while it also takes so long to achieve because you would have to wait for the oven to cool off before cleaning. Empty the oven: take out the oven racks, pizza stone, thermometer and literally anything else that you have inside the oven. Make a baking soda paste: Mix 1 cup of baking soda with 1 cup of salt and ¼ cup cream of tartar depending on the size of your oven you can adjust the quantity needed. Spread out newspapers or paper towels on the floor underneath and around your oven to ensure that when wiping out dirt from your oven they do not spill to the ground. Coat the oven: spread the baking soda paste made all over the interior surface of the oven. Do not spread the paste over the heating elements of the oven. The baking soda would turn into a brownish color as you apply in some places and also in some places you would need a chunkier paste than in others. And then allow the coat to settle down evenly for a while, overnight preferably. Clean oven racks: meanwhile rather than sitting and waiting, you should clean oven racks. Take the oven racks and place it in a large sealable plastic bag and spray the oven racks. After you may have sprayed the racks, seal the plastic bag and leave it outside. Follow the manufacturer’s instruction on the amount of time to allow. Wipe out the oven: after you may have waited overnight, now is the time to wipe out the oven. Using a very soft scrub brush or damp clothing, wipe out the already dried paste from the oven. You can use a plastic spatula if some residues prove tough to wipe off. Remove your racks from the bag after the stipulated amount of time and rinse them with hot soapy water, then wipe off with a dry cloth. Now, putting on your protective gloves, put a little vinegar in a spray bottle and spray around the inside of your oven covering the back, sides, bottom, top, door and also be sure not to spray into the heating element of the oven. Replace your oven racks and, pizza stone, thermometer and everything else into your oven, you are done. 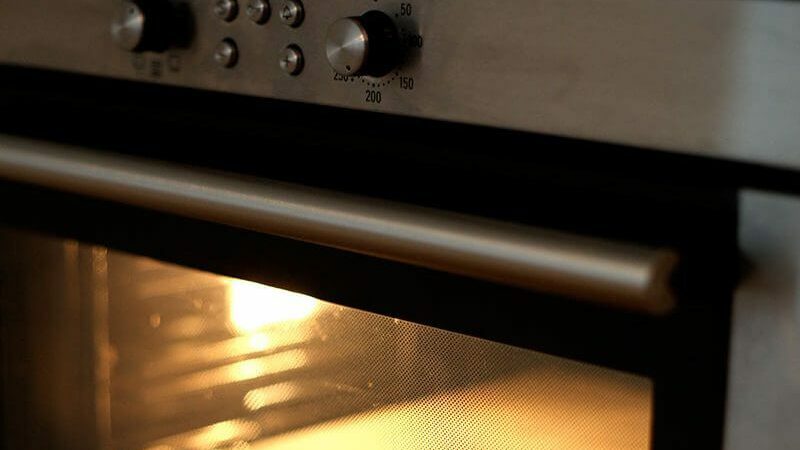 Before you cook something in your oven, you should do well to spread the bottom of the oven with a foil or oven sheet, by doing fats and oil drippings that would have stuck to the floor of the oven are eliminated and you can always dispose the foil and spread a new one during the next cooking. Also you can roast your meat and fish in cooking bags by doing this you would minimize or totally eliminate the amount of fat that can spit on the inside of the oven. Endeavor to always take out the tray when checking how well the food is cooked halfway through, this helps to reduce splashing grease to the oven. After you are done cooking with the oven, place a heat resistant bowl with water into the oven and heat until the water is boiled, this helps to ensure dirt and grease are loosened.